The Vivo V7, which was launched in India earlier this week, is a smaller and more affordable version of the V7+ which debuted back in September. The new Vivo smartphone retains most of the hardware of its predecessor, albeit a smaller screen, lower capacity battery, and half the onboard storage. Despite these cutbacks that make the V7 fit into the sub-Rs. 20,000 segment, features like the ‘Moonlight Glow’ flash for selfies, face unlock, and 18:9 display should be enough to give strong competition to the Honor 8, Xiaomi Mi Max 2, and Oppo F5. The handset also has a custom Funtouch OS skin on top of Android Nougat that delivers a unique experience. We have been able to spend some time with the Vivo V7 following its launch in India, and here are our first impressions. 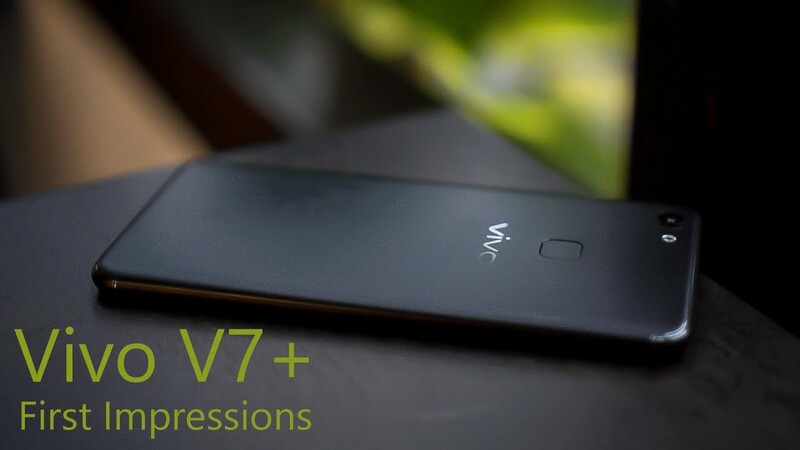 First things first, the construction of the Vivo V7 is very similar to that of the V7+. There is a metal frame that bounds a glass panel on the front, and a metal-finished plastic casing on the back. The device is 7.9mm thick, 149.30mm tall and 72.80mm wide. These measurements make it a compact device that is easy to grip in an average-sized palm. Further, the mix-and-match of plastic, metal, and glass in its construction makes the weight of the Vivo V7 manageable, at 139g – significantly lighter than the 152g Oppo F5 and the 178g Samsung Galaxy On Max. If we compare the Vivo V7 with the Vivo V7+, the new model is 21g lighter but 0.2mm thicker than its predecessor. It is available in Champagne Gold and Matte Black. The screen of the Vivo V7 occupies most of its front face, with a screen-to-body ratio of 83.6 percent. This is the reason that there aren’t any physical or capacitive keys below it – pretty much the same as competing models. The display is protected by a 2.5D Corning Gorilla Glass. Vivo has attached a screen protector on top of the scratch-resistant glass. Above the screen is a selfie camera sensor and an earpiece, whereas a pair of ambient light and proximity sensors and a notification LED are almost hidden under the jet black glass covering. Also, if you are afraid of accidental falls, the handset comes with a bundled TPU cover. At the heart of the Vivo V7 is Qualcomm’s Snapdragon 450, the same SoC that powers the Vivo V7+. It’s a 1.8GHz octa-core CPU with integrated Adreno 506 GPU. The Vivo V7 also has 4GB of RAM. Instead of the 64GB storage that was available on the V7+, you get 32GB which is expandable using a microSD card (up to 256GB). Vivo has gone with Android 7.1 Nougat with its own Funtouch OS 3.2 skin. We did not experience any lag, and usage was quite smooth. The custom skin has a bunch of proprietary features. There is a game mode that claims to improve performance, and an App Clone feature that allows you to use two copies of an app with different accounts. 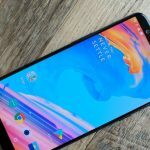 The interface that comes preloaded with FuntouchOS also has tweaks like an iOS-style Control Center, and gestures that can work as navigation keys. You can use “smart motion” shortcuts to wake the screen with a slide upwards, or answer a call by bringing the device close to your ear. There is no official word on the release of an Android Oreo update. Coming to the camera, the Vivo V7 sports a 16-megapixel rear camera with an f/2.0 aperture lens that supports phase detection autofocus (PDAF) and an LED flash. On the front, there’s a 24-megapixel sensor with an f/2.0 aperture lens. The camera app offers features such as face beauty, panorama, HDR, ultra-HD, portrait mode, and tons of filters. Also, there is an iOS-like Live Photos mode that creates short, animated clips. Face beauty offers preset options, namely buffing, skin tone, and whitening. The primary camera seemed to take well-detailed shots in our limited time with it. There was little noticeable noise even in low light. We did observe some signs of oversaturation while capturing selfies under bright light, though. The available LED Moonlight Glow flash can improve selfies in low light. The front camera of the Vivo V7 can be used to unlock the phone using facial recognition. The experience isn’t as smooth (or advanced) as Apple has implemented on the iPhone X. Lighting conditions impact the experience and face recognition won’t work in some instances. This is something that is common to most Android smartphones that have tried to implement this feature. The Vivo V7 packs a 3,000mAh battery but doesn’t support fast charging. We’re reserving comment on battery performance till we can test it thoroughly in our full review.